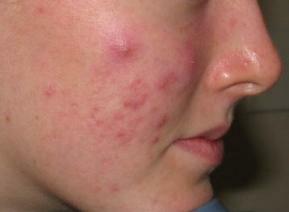 Acne and zits are unsightly and annoying skin conditions, which can affect people of any age group. Certain people may even suffer pain from more severe acne forms such as cystic acne and nodules, which develop when the acne inflammation reaches deep into the pores of the skin. Although nodules and cysts usually require a medical attention, other forms of mild acne like blackheads, whiteheads, zits and pimples can be treated by using certain pimple home remedies. If you are suffering from mild to moderate acne lesions or pimples, you may like to consider using these home remedies, which can be done easily at home. Take a look!!! Make a thick paste by mixing 1 teaspoon of lemon juice and 1 teaspoon of cinnamon powder. Then, apply this mixture over the affected area. Leave it on for a few minutes and wash it off after it dries up. You can mix a few drops of honey with cinnamon powder to make a paste. Apply the mixture on the affected area or on your face before you go to bed. Leave it on for overnight and wash it off the next morning with cool water. Follow this treatment every night for at least two months. Mixing milk with grond nutmeg will also work to reduce and get rid of pimples fast. Orange peel paste will also help you get rid of acne and pimples. So, make a paste by grinding the orange peel mixing with a few drops of water. Apply this paste every night. To get rid of blackheads and prevent acne formation, mix a few drops of groundnut oil and lime juice, and apply the mixture over your face or the blackheads prone areas. Blend a raw papaya to extract juice and apply its juice onto the swelling acne to reduce swelling of pimples. Blend it together with the skin and seeds. Cleansing your face with a mixture of fresh lime and boiled milk as a facial cleanser is also one of the simplest yet effective pimple home remedies. This mixture will help you get rid of blackheads and pimples. Mix a few drops of lime juice and rose water and rub your face or the affected areas with this mixture by using a cotton ball. Leave it on for at least 20-30 minutes and rinse it off with warm water. Rubbing your face or the affected area with ripe tomatoes' pulp for at least one hour will help you get rid of acne and pimples. Then, wash it off with cool water to get that clear skin. Applying grated potatoes on your face can also cure acne. It is also good for treating whiteheads, blackheads, boils and other dark spots of skin blemishes. A mixture of roasted paste and powdered pomegranate skin with lime juice is also another great home remedy for pimples, blackheads, whiteheads and boils. Combine ground drumstick leaves and pods with lime juice and apply the mixture onto your face to treat acne lesions and pimples. Make a paste with water and ground radish seeds and apply this mixture on your entire face to remove blackheads and prevent pimples or acne breakouts. Applying mint juice over the affected areas on a regular basis will also help you clear pimples. This remedy can be also used for treating insect stings, eczema, skin infections and scabies. Make a paste with ground sesame seeds powder and water and apply the paste onto the affected area or your entire face to reduce acne inflammation, skin allergies and skin rashes. A mixture of water and fenugreek leaves is also one of the most common pimple home remedies. Simply apply the mixture over your face before you go to bed and wash it off the next morning with lukewarm water. You can also combine equal amount of fresh lime juice and groundnut oil and apply the mixture onto the affected areas. Leave it on for at least 10-15 minutes and then rinse it off with cool water. This will help you prevent blackheads and formation of pimples.